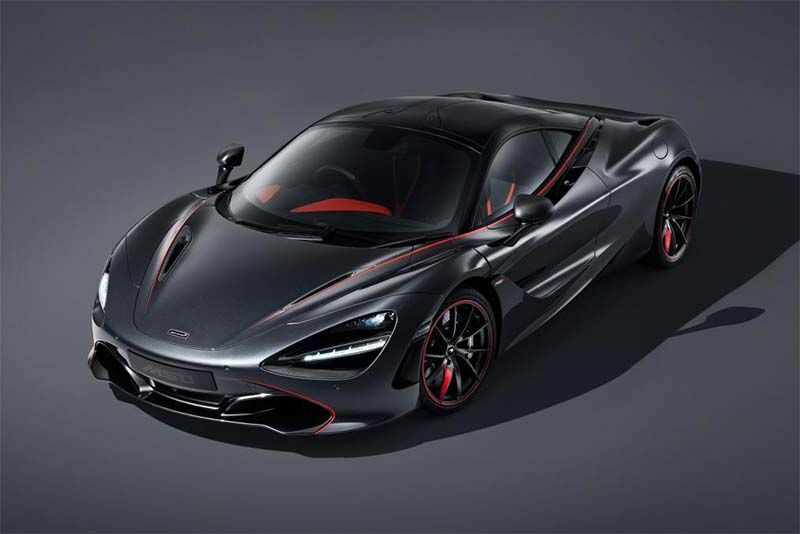 This McLaren 720S Stealth Theme takes the exclusivity cake by being the only one, and it takes its styling cues from the winner of the 1995 LeMans 24 Hours, the stunning McLaren F1 GTR. Completely bespoke, the Stealth Theme was commisioned by Mclaren's London showroom and built by McLaren’s Special Operations division. Based on with the 710bhp 720S, the MSO 720S Stealth Theme features a host of extras to showcase what customers can do to personalise their own vehicle. So, let's check out what they've done, shall we? There's the custom dark grey paintwork, dubbed ‘Defined Sarthe Grey’ in homage to the 1995 McLaren F1 GTR. This is accented with ‘Vermillion Red’ trimmings running the length of the car and on the front bumper, as well as red highlights on the new, lightweight alloys. McLaren reckons this red detailing takes 200 hours to complete as it is painstakingly painted by hand. Then there's a splattering of satin-finish carbon fibre for weight savings, including, the air intakes, door mirrors, engine cover and rear aerobridges. Inside, there's more carbon fibre and Alcantara, with red leather trims on the door cards, fascia and seats. The MSO 720S Stealth Theme may be one-of-a-kind, but we're sure it'll inspire a host of excellently customised McLaren's in the future. If this is the case, we think the brand’s MSO Bespoke service is going to be quite busy.